Teresa is an Oregon native with a love for performing, especially with BCT. She is excited to be working with a fun, spirited group of people that share a similar sense of humor and understanding of salads. By day Teresa is a litigation paralegal for a Portland law firm. In her time off she loves traveling and singing whether in a car, at a bar or under a star. 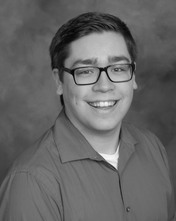 Born and raised in Beaverton, Conner is very excited to be involved in his second show at BCT, (his first being this season's Barefoot in the Park (Paul). In the fall, he will resume his third year of college at the University of Idaho pursuing a BFA in Theatre. Favorite past shows include The Boys Next Door (Norman) and Avenue Q (Brian). He'd like to thank Hayden, Jack, Hayden, Syd, Steve, Traci, and Rob. Some of Ira’s previous roles include the lead in Macbeth, Vince in Buried Child and Alfred Packer in Cannibal the Musical. He holds a Master’s of Science degree in Theatre Arts and has been performing in theatre for over thirty years. He is very excited to join Beaverton Civic Theatre with this production! Jemi grew up a stage brat at Portland Civic Theatre and acted in numerous productions there and around the community. A member of the original American Readers Theatre West, she has appeared at the PCT Guild in recent years and was featured in various acting and dancing roles at Portland Festival Ballet (2009-14). Jemi holds a BA in Theatre Arts from UCLA. She sends a special message of thanks to Gary, for everything. Greg is pleased to return to Beaverton Civic Theatre. He appeared in BCT's production of Around the World in 80 Days performing multiple roles including Sir Francis and Captain Speedy. He has appeared in productions including Henry VI, Hamlet, Pass the Butler, Tracers, and Joking Apart. Greg is delighted to be performing on stage opposite his wife for the first time. Special thanks goes out to Gary for all his support. Sam is making his Oregon and BCT debut. He was born and raised in the Carolinas. He holds a BFA in theater from Rutgers University's Mason Gross School of the Arts. He is currently a Talent Agent with the Portland based agency In Both Ears. Past credits include: Hamlet (The Gross Masons - NYC), Twelfth Night (Shakespeare's Globe - London), Eurydice (Rutgers University), Fabulation (Rutgers University) and Fat Men in Skirts (Studio 08). Priscilla, a veteran of BCT’s stage, has appeared in Around the World in 80 Days, 12 Angry Jurors, and Little Women. When not in rehearsals, she is usually at karaoke or traveling as Director of Operations for Fundy Software. Priscilla is excited to share the stage with her best friend, Teresa Chrisinger, for the first time. Special thanks to Susan and Jeff Giberson, Audrie Talbot, and her colleagues at Fundy Software for their support. Allison is thrilled to be in her first show at Beaverton Civic Theatre with such an incredible ensemble! Born and raised in Tigard, she has performed in various regional productions, both an actress and professional violinist and received the Oregon Thespian Dramatic Actress Award for her performance at Tigard High School. By day, she is pursuing her Bachelor’s in the fine arts and public health and works planning special events at the Portland Rose Festival. Susan has been seen onstage at BCT in as Mrs. Banks in Barefoot in the Park and as Actress 2 in the Dining Room. Off-stage she directed last season’s Around the World in 80 Days. She is so happy to be putting her B.A. in Theatre from the University of Oregon to good use since spending her youth pursuing acting as a vocation. By day, she spends her time running her psychotherapy practice. Jeff was recently seen on the BCT stage as Victor Velasco in Barefoot in the Park and as Detective Fix in last season's Around the World in 80 Days. By night, Jeff tries to make use of his B.F.A. in Theater from New York University, and by day he is a middle school assistant principal.